When a bully targets her friends, can one girl find the courage to speak up? Hannah thought her bully problems would end after her day in court. But her testimony against Brady and his lenient punishment only made him hungry for revenge. As the new school year begins, Hannah and her friends find themselves in the crosshairs of Brady's cruel pranks... When her friends are punished unfairly, Hannah is determined to clear their good names. But as Brady's scheme becomes more elaborate and dangerous, Hannah can't help but feel terrified. In the face of hatred and abuse, can Hannah find the courage to speak up for what's right? 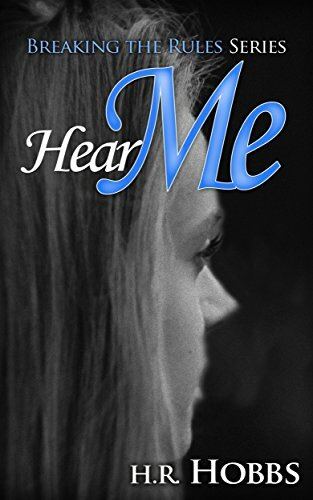 Hear Me is the second book in an insightful series of young adult novels. If you and your child like true-to-life characters, stories that examine the power of friendship, and blueprints for coping with bullies, then you'll love Heather Hobbs' empowering tale. Buy Hear Me today to give your child the confidence to find their voice.